Wyoming is divided into 10 soil zones. According to the University of Wyoming, soils were derived based on five factors of soil formation-biota, climate, soil parent material, time and topography. Soil in Wyoming differs depending on elevation, and includes mesmic at lower elevations and frigid (5,000-6,500 feet), cyric (7,500-7,800 feet) and pergelic (10,000 feet and above). Zone 1 includes the Yellowstone plateau where soil is cyric and wet. Depending on location, soil in this zone may be dark, loamy or gravelly, but all are generally rich in nutrients. Dark soil exists in forests; loamy soil is found in meadows; and gravelly sand is found near riverbanks. 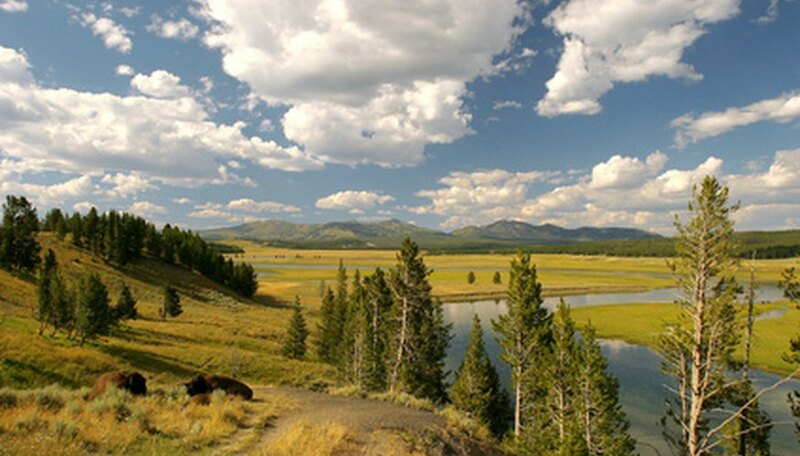 Zone 2 is east of the Yellowstone plateau and includes the Absaroka mountain range. Soil is similar to zone 1, but has volcanic parent material. Zone 3 includes the middle Rocky Mountains and is of the cryic, udic (holds some moisture), and aquic (holds moisture well) varieties. Soil is loamy skeletal to fine loam over sandy or sandy skeletal soil, and may be dry. Zone 4 includes the Bighorn Basin and soil is similar to zone 3, but can be coarse. Soil is mesic or aridic. Zone 5 includes the Powder River Basin as well as a the northern Great Plains. Soil is classified as either mesic or aridic, and is generally loamy and fine in texture. Zone 6 includes the Black Hills and mountains and soils vary from mesic, to udic to ustic (holds less moisture than udic soil, but more than aridic). Soil texture is generally fine and loam-like. In some areas, soil may have sandstones, siltstones, and shales mixed in. Zone 7 includes southeastern Wyoming and the northern Great Plains. Soil is classified as frigid, aridic and mesic. Soil is fine in texture and poorly formed. Zone 8 includes Medicine Bow and the Laramie Mountains. It is classified as cryic, udic, and aquic, and is usually a fine but poorly draining soil. Zone 9 includes the Laramie and Wind River basins as well as some intermountain basins. Laramie, the home of the University of Wyoming, is located in this zone. Soil is classified as frigid and aridic and the texture is fine. Some areas have bedrock under the soil bed. Zone 10 includes the Green River basin and an intermountain basin. Like zone 9, the soil is classified as frigid and aridic and is similar to soil in zones 3 to 5 but is frigid.